With so many, often very similar Shark vacuums on the market, it is sometimes hard to compare Shark vacuums and other cleaning tools and aids. To help you choose the best vacuum cleaners from Shark, we have gathered here a list of their most popular models with their main features and specifications. Hope you will find what you are looking for. The following table lists Shark vacuums and other cleaning tools and aids according to the model name. Links toward our reviews (under ‘Full Name’) and Amazon affiliate links open in the new windows, so feel free to check them for more details about the individual model. Note: we have really tried to verify every bit of information in this table, on this and other pages, but things over time change, so we cannot guaranty the absolute accuracy of information. Even information found on official websites can differ from page to page, so keep that on Your mind. AX951 Shark APEX DuoClean Lift-Away (AX951) Description: corded, bagless, upright vacuum cleaner. Specifications: unit weighs 16 pounds, strong suction, number of cleaning tools, designed to easily maneuver. DuoClean and Lift-Away technologies, combined with reduced noise and excellent air filtration. 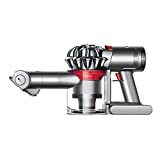 HV292 Shark Rocket Corded Hand Vac (HV292) Description: Corded, bagless, handheld vacuum. Specifications: Unit weight 3.7 pounds (no tools), 15 feet power cord, 400W motor; dusting brush, 12″ crevice tool, extended reach hose, truepet motorized brush. HV301 Shark Rocket Vacuum (HV301) Description: Ultralight upright/handheld vacuum, corded, bagless. Specifications: Unit weight 7.5 pounds, 30 feet power cord, 500W motor; 12″ crevice tool, dusting brush, pet upholstery tool, accessory bag, dust-away hard floor attachment, wall mount, cleaning path 10″. HV302 Shark Rocket Vacuum (HV302) Description: Ultralight upright/handheld vacuum, corded, bagless. HV305 Shark HV305 Rocket Ultralight Portable Upright Vacuum Cleaner w/ Car Detail Kit Description: Ultralight upright/handheld vacuum, corded, bagless. 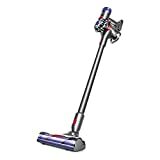 Specifications: Unit weight 7.5 pounds, 30 feet power cord, 500W motor; 18″ crevice tool, dusting brush, pet upholstery tool, car detail kit, accessory bag, dust-away hard floor attachment, wall mount, cleaning path 10″. 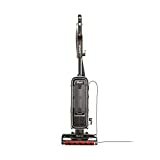 HV321 Shark Rocket DeluxePro Ultra-Light Upright (HV321) Description: Ultralight upright/handheld vacuum, corded, bagless. Specifications: Unit weight slightly less than 8 pounds, 30 feet power cord, 500W motor; 12″ crevice tool, dusting brush, pet upholstery tool, accessory bag, wall mount, hard flor genie, onboard accessories clip, cleaning path 10″. 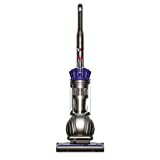 HV322 Shark Rocket TruePet Ultra-Light Upright (HV322) Description: Ultralight upright/handheld vacuum, corded, bagless. 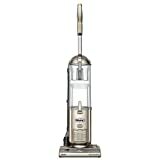 HV380 Shark Rocket Complete with DuoClean (HV380) Description: Ultralight upright/handheld vacuum, corded, bagless. Specifications: Unit weights – upright vacuum 9.9 pounds, handheld vacuum 3.5 pounds, power cord 30 feet, 600W motor; upholstery tool, dusting brush, 12″ crevice tool. 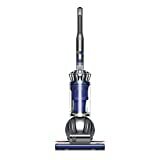 HV381 Shark Rocket with DuoClean (HV381) Description: Ultralight upright/handheld vacuum, corded, bagless. 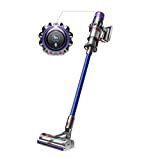 Specifications: Unit weights – upright vacuum 9.9 pounds, handheld vacuum 3.5 pounds, power cord 30 feet, 600W motor; upholstery tool, duster crevice, pet multi-tool, under appliance wand. 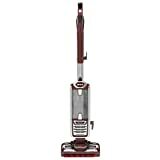 HV382 Shark DuoClean Rocket Corded Ultralight Vacuum (HV382) Description: Ultralight upright/handheld vacuum, corded, bagless. Specifications: Unit weights – upright vacuum 9.9 pounds, handheld vacuum 3.5 pounds, power cord 30 feet, 600W motor; upholstery tool, dusting brush, duster crevice, truepet mini motorized brush, under appliance wand. 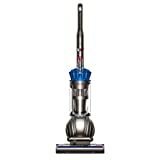 HV392 SharkFLEX DuoClean Corded Ultra-Light Upright Vacuum Description: Ultralight upright/handheld vacuum, corded, bagless. Specifications: Weighs 9.8 pounds, power cord 30 feet, 600W motor. Cleaning attachments depend on the specific model. Comes with MultiFLEX Technology, otherwise very similar to HV380/381/382 vacuums. 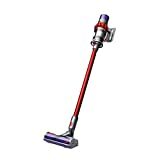 IF252 Shark IONFlex DuoClean and 2x DuoClean Cordless Vacuums Description: Ultralight upright/handheld vacuum, cordless, bagless. Specifications: Weighs 8.7 pounds without accessories, handheld unit 3.5 – 4 pounds, depending on the used attachment. Attachments depend on the model. IF251 and IF252 come with two batteries. 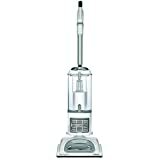 NV42 Shark Navigator Deluxe (NV42) Description: Upright vacuum cleaner, extension hose, bagless, good dirt bin capacity. Specifications: Unit weight 15 pounds, 25 feet power cord, 1200W motor; extension hose; 5.5″ crevice tool, dusting brush, wide pet upholstery tool; cleaning path width 9.25″. NV70 Shark Navigator DLX Professional (NV70) Description: Upright vacuum cleaner, extension hose, bagless, large dirt bin capacity. HEPA air filtration. Specifications: Unit weighs 18.6 pounds, 25 feet power cord, 1200W motor, cleaning path width 9.25 inches; pet hair brush, dusting brush, crevice tool. NV352 Shark Navigator Lift-Away (NV352) Description: Corded upright vacuum cleaner with an additional flexible hose (Lift-Away), bagless. HEPA air filtration. Specifications: Unit weight 12.5 pounds, pod weight 7.5 pounds, cord length 25 feet, hose length 5 feet; dusting brush, crevice tools (5.5″, 24″), wide pet upholstery tool, pet power brush; cleaning path width 9.25 inches; 1200W motor. NV356E Shark Navigator Lift-Away Professional (NV356E) Description: Corded upright vacuum cleaner with additional flexible hose (Lift-Away), bagless. HEPA air filtration. 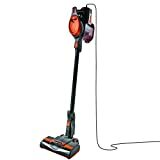 Specifications: Unit weight 13.7 pounds, pod weight 8 pounds, cord length 30 feet, hose length 5 feet; dusting brush 8″ crevice tool, pet power brush, dust-away hard floor attachment; cleaning path width 9.5 inches; 1200W motor. NV501 Shark Rotator Professional Lift-Away (NV501) Description: Corded upright vacuum cleaner with additional flexible hose (Lift-Away), bagless. HEPA air filtration. Specifications: Unit weight 15.8 pounds, pod weight 8.4 pounds, cord length 30 feet, hose length 8.4 feet; dusting brush, 12″ crevice tool, premium pet power brush, straight nozzle, wide upholstery tool; cleaning path 9.5″; 1200W motor. 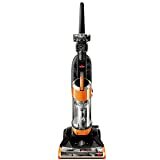 NV751 Shark Rotator NV751 Powered Lift-Away Deluxe Vacuum Description: 3-in-1 design: upright vacuum, powered lift-away vacuum, and canister vacuum, corded, bagless. Specifications: Unit weight 15.6 pounds, cord length 30 feet, cleaning path 10.5″, 1200W motor; hard floor genie, canister caddy, pet power brush, dusting genie, dusting brush, pet upholstery tool, accessories bag. 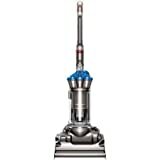 NV752 Shark Rotator NV752 Powered Lift-Away TruePet Vacuum Description: 3-in-1 design: upright vacuum, powered lift-away vacuum, and canister vacuum, corded, bagless. Specifications: Unit weight 15.6 pounds, cord length 30 feet, cleaning path 10.5″, 1200W motor; hard floor genie, canister caddy, truepet mini motorized brush, dusting genie, dusting brush, pet upholstery tool, accessories bag. NV803 Shark NV803 DuoClean Powered Lift-Away Speed Upright Vacuum Description: 3-in-1 design: upright vacuum, powered lift-away vacuum, and canister vacuum, corded, bagless. Specifications: Unit weight 14.5 pounds, cord length 30 feet, cleaning path 8.5″, 1150W motor; pet multi-tool, duster crevice tool, Under-appliance wand, pet power brush, accessory bag. S3601D Shark S3601D Professional Steam Pocket Mop Description: Corded steam mop, two cleaning heads, washable cleaning pads, three steam settings, double-sided cleaning. Specifications: Unit weight 4.8 pounds, power cord 25 feet, 500 ml water tank, 1550W water heater, 30 seconds wait time; carpet glider accessory. SV75Z Shark Cordless Pet Perfect Hand Vac (SV75Z) Description: Cordless, bagless, handheld vacuum cleaner. Specifications: 15.6 NiMH battery, weighs 3.28 pounds; motorized brush, crevice tool. SV780 Shark Pet Perfect II Hand Vac – SV780 Model Description: Cordless, bagless, handheld vacuum cleaner. Specifications: 18V NiMH battery; motorized pet hair brush, crevice tool, dusting brush; weighs around 4.35 pounds; charging station. SV1112 Shark Rotator Freestyle Pro (SV1112) Description: Cordless, bagless, upright vacuum cleaner, with two-speed brushroll, optimized for bare floors and carpets. Specifications: lightweight unit – 7.5 lbs, 12 minutes operation at full brushroll speed, 17 minutes on slow brushroll speed. V2930 Shark 10″ Rechargeable Floor and Carpet Sweeper (V2930) Description: Motorized cordless carpet sweeper – not a vacuum cleaner. Specifications: 4.8V NiMH battery, 10″ cleaning width, lightweight and low profile unit, folding handle. V2950 Shark 13″ Rechargeable Floor and Carpet Sweeper (V2950) Description: Motorized cordless carpet sweeper – not a vacuum cleaner. Specifications: 7.2 NiMH battery, 13″ cleaning width, lightweight and low profile unit, folding handle, two brushroll speeds. ZZ550 Shark Sonic Duo Carpet and Hard Floor Cleaner – ZZ550 Model Description: Floor scrubber – not vacuum! Two scrubbing pads; two scrubbing modes. Specifications: Unit weighs 18 pounds, 22 feet power cord, dual scrubbing action, carpet cleaner, wood and hard floor cleaner, wood, and hard floor polish. HEPA filtration is one of the things that these brands have in common. Although, not every single one of their models is equipped with this feature. The Dyson Cinetic Big Ball Animal, in particular, has a HEPA filter, making it one of your best bets from Dyson. Powerful and lightweight. Portable and versatile at only 15 pounds. Never Loses Suction. Powerful cleaning from start to finish. However, there are some notable differences between the two. For example, the Rotator Powered Lift-Away from Shark has a significantly larger dust cup capacity compared to that of the Cinetic Big Ball Animal. When it comes to suction power, both models have very promising performances. Of course, there are many other Shark vacuums on the market, and to list them all would be almost impossible, especially since the difference between specific models is not in the vacuum cleaner itself, but in the available cleaning attachments. We genuinely hope that you will find the best vacuum for your needs – there are several, leading brands on the market, but Shark offers some of the best vacuum cleaners.